September is National Yoga Month, so we’ve compiled a coast to coast and international list of the best destinations to get your “OM” on. From Hawaii to Montauk please find some super cool and creative yoga offerings at each of the resorts below. 1. Sound Off Deep Flow Yoga at The Garland | North Hollywood, CATaking classic outdoor yoga to another level, Sound Off Deep Flow Yoga at The Garland will combine traditional vinyasa yoga movements with an instructor and a live DJ spinning music that can ONLY be heard through glowing, wireless, noise-isolationg, 3-channel headphones. As the first of its kind event to be done in a hotel on the west coast, the one-hour Sound Off Deep Flow Yoga class will take place on Thursday, September 15 starting at 7:30PM in Beverly Park (doors open at 7PM). After the class, yogis can enjoy zen bites post-practice including vegetable crudité station, fresh fruit, a taco cart, agua frescas, and specialty cocktails. Tickets can be purchase here and are $27/person.specialty cocktails. Tickets can be purchase here and are $27/person. Roll out your mats and grab a mimosa! Celebrate National Yoga Month in September at The ART Hotel during their yoga series with CorePower Yoga – “Vinyasa and Mimosas.” Every other Saturday, enjoy yoga on the terrace over downtown Denver complete with chilled towels, infused water and energizing smoothie shots. Locals and visitors can start their mornings with the complimentary yoga class from 9am – 10am, taught by CorePower Yoga instructors, with poses inspired by the ART hotel’s collection of over 50 pieces created by the “who’s who” of contemporary art. After a morning vinyasa class, guests can linger for rooftop brunch and specials from signature restaurant, FIRE including $10 bottomless mimosas. 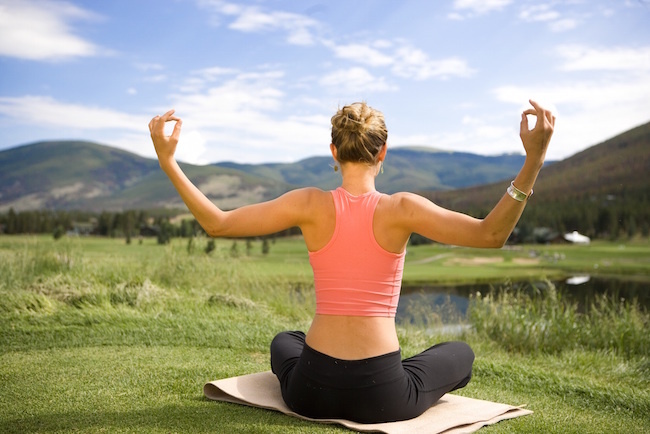 Offering unrivaled views of the Wasatch and Uinta Mountains and panoramic views of Park City, the 18-hole, 6,256-yard, 97-acre, par-69 Park City Canyons Golf Course will offer two complimentary sunrise yoga sessions on the course’s signature Hole 5 in honor of National Yoga Month. Taught by Park City local Ashley Battersby, who is an avid skier and former competitive Freeskier, Ashley will lead a one-hour vinyasa flow class at Hole 5 which is known as one of the most picturesque locations on the course. Open complimentary to all, classes will take place on September 10 and 24 with golf carts departing from the golf cart staging area in Canyons Village beginning at 7:30AM (recommended to arrive 15 minutes early). While yogis will also be encouraged to bring their own yoga mats, additional mats will be available on the course for a first come first serve basis. Additionally, guests of Grand Summit Hotel can enjoy complimentary wellness drinks and fresh juices on Red Tail Grill’s outdoor deck after class. With no stop lights, fast food chain stores or malls, the secluded island of Lanai offers a glimpse of Hawaii as it used to be, making it an ideal location to relax and connect mind, body and spirit. Guests can perfect their pose this National Yoga Month with the resort’s new HA Wellness program that offers an ideal opportunity to integrate fitness and wellness into their island escape, while a fall program of discovery features week-long experiences designed to stimulate meaningful, life-altering experiences. 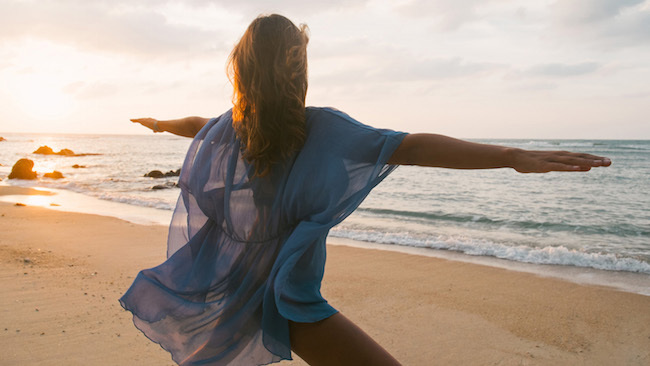 Led by the resort’s new Resort Yogi Rajanish Govind and Mind-Body Guide Becca Coren, HA Wellness offers stimulating and personalized complimentary daily wellness experiences and fitness classes suitable for all levels. Classes include sunrise yoga on the beach, aqua yoga in the pool, hot power outdoor yoga, outdoor bootcamp, sunset yoga on the Luau grounds and more. From September 25 – October 1, those attending during National Yoga Month will get to experience the first series of HA Well Journeys. Teacher, artist, counselor, spiritual adviser and intuitive healer for nearly forty years Renate C. Hume will guide guests through an authentic self-discovery process using Personal Mandalas as a suggestive passage between different dimensions of the self during times of transition and change in life. Meditation at 11,640 feet brings a new level of zen to mountain-top yoga at Keystone Mountain Resort. Enjoy a scenic gondola ride to the top of Dercum Mountain with breathtaking views of the 10 Mile Mountain range and clear, clean air. The certified yoga instructor then leads a discussion of the benefits of stretching and yoga prior to an hour-long class surrounded by the splendor of the Rocky Mountains. This unforgettable one-hour experience offered on Sunday, September 4 starting at 10:30AM will refresh and rejuvenate both spiritual and physical well being. After Yoga, enjoy a healthy lunch and a refreshing juice before heading back down the gondola. Keystone Lodge & Spa boasts a wide selection of rooms, as well as The Spa at Keystone which is ideal for continuing relaxation of mind and body. Detox. Retox. Repeat. Partnering with Equinox yoga instructor and Lululemon brand ambassador Elise Joan, W Los Angeles – West Beverly Hills is flowing into National Yoga Month with a complimentary one-hour yoga class on Sunday, September 18. After the one-hour class, guests can enjoy a complimentary drink ticket to be used at W Los Angeles’ Backyard restaurant before a DJ starts spinning poolside tunes under the sun at noon. This complimentary experience as part of the brand’s DAYDREAM series will take place at the hotel’s signature WET Pool Deck with class starting at 9 a.m. Situated on Montauk’s most pristine stretch of oceanfront real estate, Gurney’s Montauk is a Hamptons icon and the perfect yogi escape. For September yoga month the property will offer indoor paddle board yoga classes through its partnership with Paddle Diva, taking place in its world-famous indoor, ocean-fed seawater pool with panoramic views of the Atlantic – the only pool of its kind in North America. Additionally, the property offers a variety of fitness classes each day including Vinyasa Flow, Flow into Yoga and Buti Yoga. Providing guests with direct access to a 2,000 ft. private sand beach, Gurney’s features 146 rooms, suites and beachfront cottages, each with dramatic ocean views. Take your vinyasa to new heights this National Yoga Month – the roof of the historic Water Tower building in Chicago to be exact. An exhilarating experience, The Ritz-Carlton, Chicago now offers Rooftop Voga (yoga done while voguing to 80s music) classes on Fridays at 4 p.m.. The class is $20 for hotel guests and also available on ClassPass for attendees to let loose work out those muscles in a fun, lively environment with iconic views of the Chicago skyline. Legwarmers encouraged! All of these sound amazing! 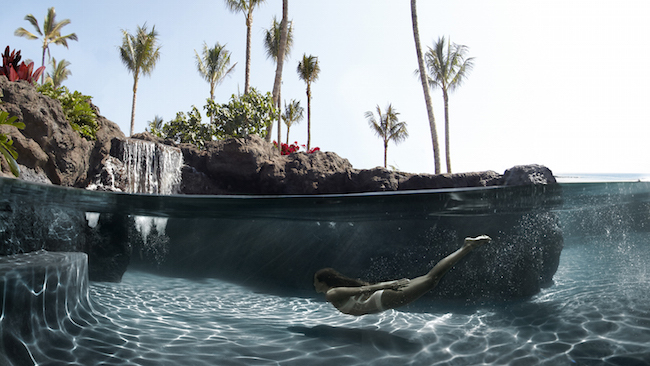 Four Seasons Lanai has been on my list!